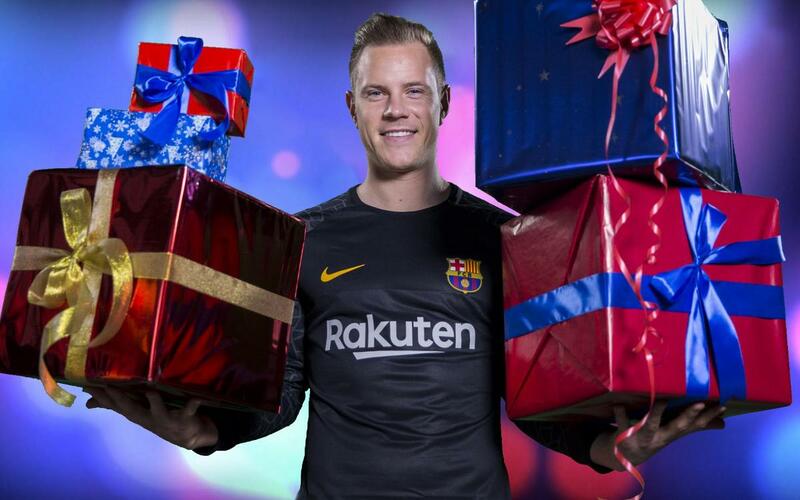 Merry Christmas from FC Barcelona! Bon Nadal ... Joyeux Noël ... Sretan Božić ... Frohe Weihnachten ... Feliz Navidad ... Boas Festas ... Zalig Kerstfeest ... Mutlu Noeller ... A festive message from the first team players in their different languages! It’s Christmas! As every year, the first team players have produced a special festive video to wish fans around the world all the very best at such a special time of year. And this year, they’ve brought a truly international flavour to the message by doing it in their different languages. But it’s not just the players that want to wish you a Merry Christmas, but also everyone here at www.fcbarcelona.com. If what’s happened so far this season is anything to go by, then there's a wonderful new year ahead for Barça fans all around the world!